Character - Leader - Trooper. Points: 12/15. Health: 12. 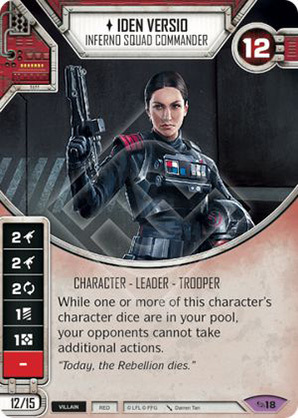 While one or more of this character's character dice are in your pool, your opponents cannot take additional actions.